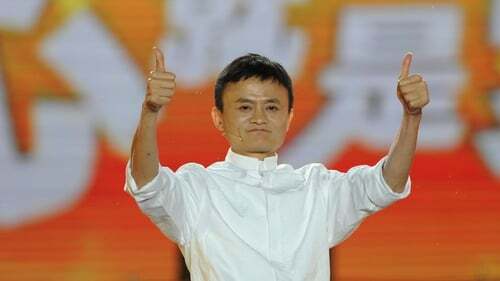 Jack Ma, the charismatic co-founder of China's largest e-commerce firm Alibaba Group Holding, will step down as chairman in one year to concentrate on philanthropy and education. The company said he will pass on the reins to trusted lieutenant Daniel Zhang. Ma, who turned 54 today, has long flagged plans to step back, insisting that Alibaba management should be relatively young and his retirement is not expected to affect the running of the company. Hoogewerf added that in China, Ma was a figure like no other, with friends ranging from movie stars to billionaire moguls, though he often outshone them all. "He's the big one, he's the one that brings them together." Ma will give up the chairman role in exactly one year on September 10, 2019 and complete his current term on Alibaba's board of directors following the company's annual general meeting in 2020, the company said. He relinquished the role of chief executive in 2013. Zhang, 46, has been CEO since 2015 after serving as chief operating officer and is known as a key architect of Alibaba's "Singles Day", the November 11 event that has become the world's largest online shopping event. Zhang, a former accountant, will also continue as CEO. Ma is also known for his eccentric personality and has donned wigs and costumes to perform highly choreographed pop routines at company events. Last year he starred alongside Chinese action star Jet Li in a short kung fu film. In the letter today, Ma said he had been planning his exit for ten years and has previously said he wants the company to last 102 years, choosing a specific number to motivate employees. Last year Ma invested 300 million yuan ($45m) in a rural education project in China. He has also established a scholarship programme in Australia.